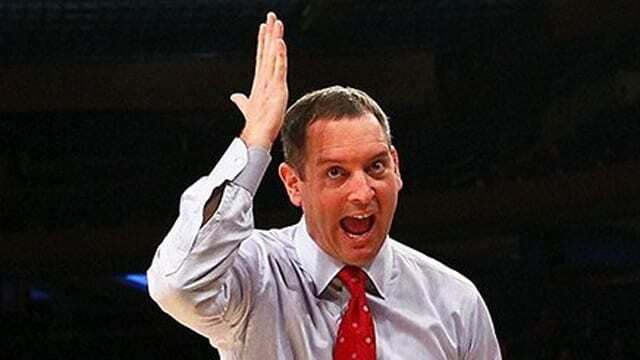 Rutgers University fired men’s basketball coach Mike Rice this morning after ESPN aired video of his shoving and kicking players while berating them with gay slurs. “Based upon recently revealed information and a review of previously discovered issues, Rutgers has terminated the contract of Mike Rice,” Rutgers Athletics tweeted this morning. Rice, 44, apologized for his behavior today in an interview outside his house in Little Silver, N.J.
“I’ve let so many people down: my players, my administration, Rutgers University, the fans, my family,” Rice told WABC-TV. This entry was posted on April 4th 2013 at 11:42am/11:42 and is filed under Live News Column 1, Sports. You can follow any responses to this entry through the RSS 2.0 feed.